It is apple season, and my apple tree gifted me with a nearly perfect ripe apple. It was delicious, and I was equally grateful for the health benefits it provides, beyond just the vitamins and minerals that most people think about. I use apples (as well as other fruit) as a method of detoxification! I intentionally make a point to eat fruit any time I eat fish. While fish is still a healthy food that I eat occasionally as part of a diverse diet, I am concerned about the levels of mercury and other heavy metals that are present in our waters and our seafood. Did you know that seafood is the number one source of toxic mercury exposure for most Americans? While I avoid the most contaminated species of fish, I also eat an apple or other piece of fruit any time I have seafood. Why fruit after seafood? I started this habit after reading about a study in the Amazon among women who regularly consumed fish . They found that the women who ate more fruit accumulated less mercury in their bodies compared to those who didn’t eat much fruit. Although they were eating tropical fruits, the researchers thought that it might be the fibers in the fruit that bond the mercury so less of it was absorbed, rather than any specific fruit. I decided there was no reason not to apply this idea using our local fruits. I tend to favor apples because they are high in the fibers that may help bind toxins. The peel of apples is also full of antioxidant nutrients that can help protect the body in other ways. It is unfortunate that our world is now so polluted that we need to consider these types of daily detoxification and protection activities. These toxic metals are particularly troublesome for one of our most valuable resources: our minds. Mercury might have negative consequences for our memory, attention span, and even moods. This simple life hack provides another safe way to live a detoxification lifestyle and stay in balance in our modern world. Dr. Laurell is the resident homeopathic advisor for Grato Holding, Inc. I remember when I was growing up many people who were trying to live a “healthy” lifestyle avoid all caffeine, even that in chocolate. Of course, our idea of what is healthy changes over the years. It used to be that fat was the culprit to avoid. Now, it is carbohydrates. Next it will be….your guess is as good as mine. With coffee, there is actually some strong evidence that it is a healthy choice for most people. Many studies have shown coffee to be a brain protector that could help prevent Parkinson’s and Alzheimer’s disease. There are also studies indicating that coffee might decrease the risk of diabetes. And there are compounds in coffee besides caffeine that could be beneficial. For instance, chlorogenic acid is the active ingredient in the popular weight loss supplement Green Coffee Bean Extract. For a small percentage of the population, these benefits might be outweighed by some potential health concerns. About 12% of us have a genetic variation in a caffeine-detoxifying enzyme, known as cytochrome p450 1A2, which leads to slower breakdown of caffeine. One study indicated an increased risk of heart attack among individuals with these genes who drank coffee. The risk increased with higher coffee intake. Likewise, coffee drinkers with these variations had higher risk of breast cancer in another study. The study seemed to indicate that if they didn’t drink coffee they had a slightly lower risk of breast cancer than the rest of the population. So how do you know if you are in this 12%? Genetic testing is now a viable option since it has become inexpensive. Many people with this genetic variation can tell because caffeine will affect them longer or even cause strange symptoms. They might notice that a cup of coffee with supper or even lunch or breakfast keeps them awake at night. For everyone else, some caffeine seems like a safe and possible protective part of the diet, but to quote one of my herbal medicine instructors, “the proper dose for this herbal medicine is 1-2 cups per day.” Over reliance on coffee to keep us energized might be masking underlying health issues to need to be addressed. I put my right leg in. I take my right leg out. I put my left leg in. And I think you can guess some of the next steps, but why am I doing this in the shower? After my normal warm shower, I turn the temperature to cold and step aside. Then I put one limb at a time into the stream of cold water, usually with that silly children’s song going through my head. I have to confess I don’t usually do this in the wintertime, only summer. The theory is that exposing yourself very briefly to cold water helps your body learn to adapt to stress. Cold is one of our most ancient stressors, and our body can use it to learn to respond to all stress better. We can’t necessarily do the same thing by exposing ourselves to terrible traffic or bad bosses in short doses. A small study showed that a 1-minute cold shower at the end of a regular shower increased immune function and decreased the number of colds among participants. Improved immune activity is just one of the benefits from improving one’s stress response. By balancing out our cortisol response to stress we can potentially increase our energy, mood, memory, and metabolism. Elevated stress levels can also contribute to cardiovascular disease and blood sugar issues. So this simple 1-minute activity has the potential to help our health in numerous and profound ways. The exposure to cold water might also improve metabolism as the body warms itself back up. This could possibly help some of us achieve our weight loss goals. In addition to doing the shower hokey pokey, I take adaptogenic herbs to further improve my stress response. 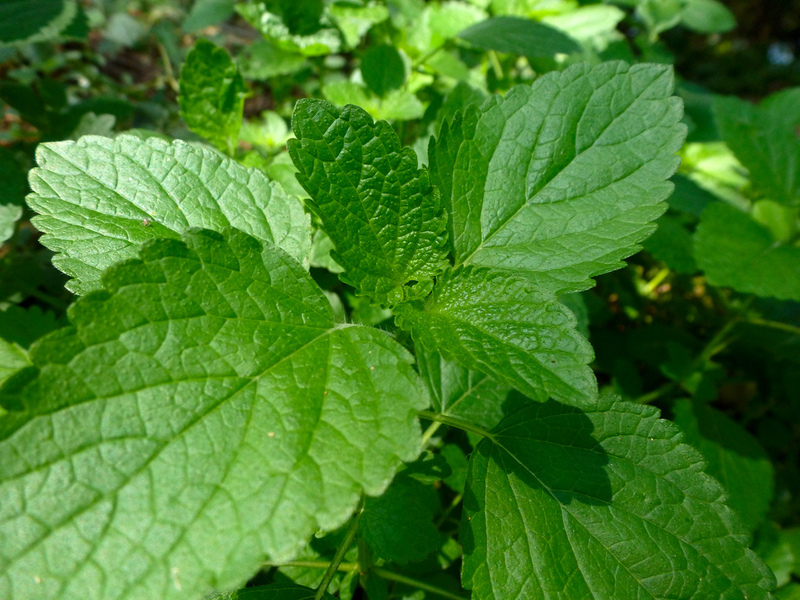 These herbs can help with all of the issues I mentioned above. I notice that they particularly help my stamina so I can work long days at my job and than some more on our farm. One of my favorite blends of adaptogenic herbs is Gaia Adrenal Health. 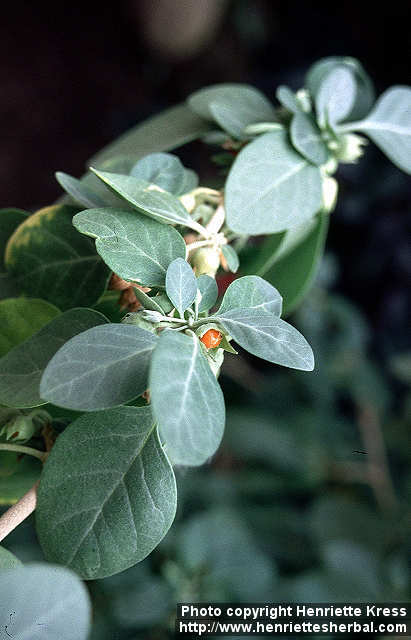 It contains Ashwagandha, Holy Basil, Rhodiola, and Schisandra. Other great adrenal herbs are Maca, Astragalus, and American Ginseng. Try a few to see if one works better for you. After your normal shower, turn the faucet to cold or at least cool and step away. Put the back of your right leg in the cold stream. Take it out. Put the back of your left leg in. Take it out. Turn around and put the front of your right leg in. Take it out. Then front of left leg. Put the outside then inside of your right arm in. Then put your chest and face into the cold water. Turn around and get your back in briefly. No, I am not crazy (or no more so than the average person), but you might describe me as very excited by the potential brain benefits of lithium. While lithium is most famous for its use in large doses for bipolar disorders, lower doses can have an impressive array of benefits for mood and long-term brain health. 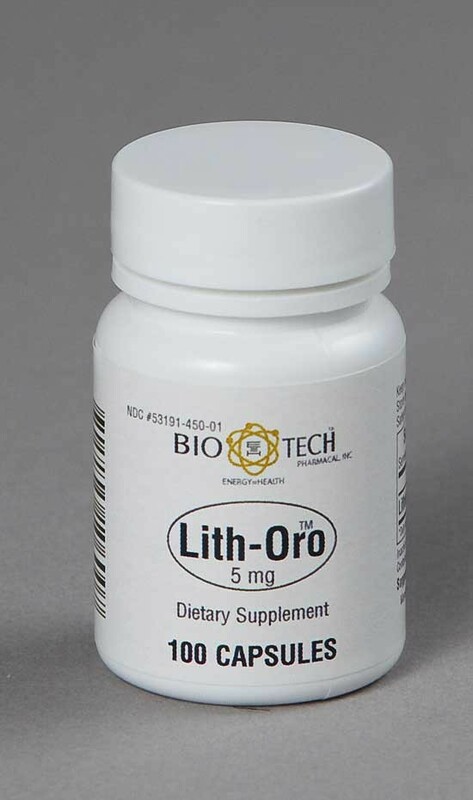 Lithium is a mineral just like potassium or magnesium and can be taken in doses of 5-20 mg per day. With these lower doses, there is not the concern about toxic side effects as with the prescription doses. I first became interested in lithium because of its ability to help prevent Alzheimer’s disease and possibly other types of dementia. Lithium appears to protect against Alzheimer’s in at least three ways. It may help protect the brain against aluminum, which could be implicated in the development of Alzheimer’s. Lithium also may protect the brain against damage from excitotoxins, compounds that in excess can induce nerve damage. Monosodium glutamate is one of the best-known excitotoxins. Studies have indicated that lithium may inhibit the build up of beta-amyloid and tau proteins, the main components of the plaques and tangles that form in the brain with Alzheimer’s disease. Even if you are not particularly at risk for developing Alzheimer’s disease, lithium may improve brain function. Lithium plays important roles in communication between cells in the brain, which is the basis of how we think and feel. It is well known that the brain tends to shrink as we age, but one small study actually showed that this mineral increased brain grey matter. Lithium might also protect the brain from numerous damaging compounds by increasing bcl-2, a protein that may improve the survival of brain cells even possibly from damage cause by a stroke. Because of these benefits, one group of researchers recommended that anyone taking medication for mood or seizure also take lithium to help protect against toxic medication side effects. Finally, lithium can improve moodiness and irritability. Lithium influences serotonin pathways, and numerous people have noted that it has helped them feel calmer and less angry without feeling sedated. For alcoholics, lithium has been shown to reduce alcohol cravings and improve mood. These benefits combined with the potential brain protecting attributes makes lithium a mineral that could benefit many people. 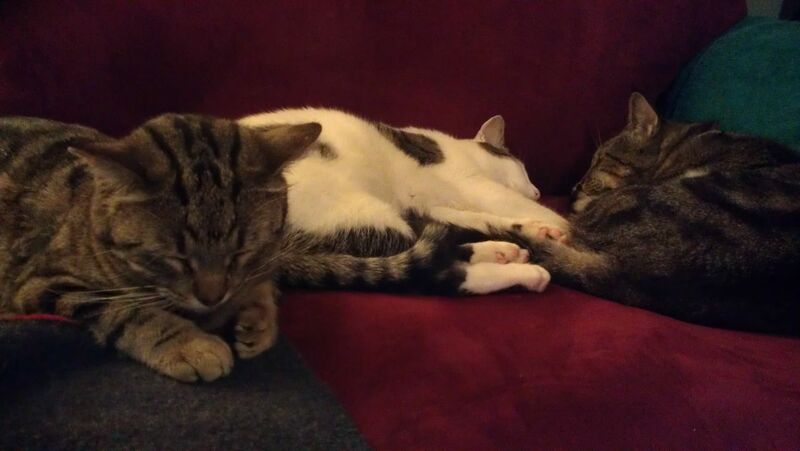 I love to sleep and will sleep nine hours a night if I can. Maybe to justify this indulgence, I pay attention to research on the benefits of sleep and recent studies are showing that sleep deprivation likely contributes to Alzheimer’s disease and dementia. So maybe my eight to nine hours of sleep is more like a necessity than an indulgence. It turns out that sleep is the brain’s cleaning cycle, according to these recent studies. We have long known that sleep helps us form new memories and that lack of sleep can decrease our ability to concentrate and learn new things. But these new studies have demonstrated that if we are chronically sleep deprived, our brains build up junk that it is correlated with dementia and some other age related memory issues. Evidently, part of the reason we sleep is so the brain can divert its energy to cleaning up the debris that results for our day of mental aerobics. In a study using mice, the sleep-deprived mice has impaired memory compared to the normal mice and their brains showed accumulation of proteins associated with Alzheimer’s disease. So if we don’t get enough sleep we are aging our brains faster and putting ourselves at risk for neurodegenerative conditions like Alzheimer’s disease. If you want to read more details on this new insight, check out this recent New York Times article. With 80% Americans getting an insufficient amount of sleep, this increased risk for dementia has to potential to be to a serious health crisis. Some people are choosing to sleep less because they are trying to fit more into their busy lives. I have told hundreds of my patients that they need to set themselves an earlier bedtime so they can make sleep a bigger priority. I will even have them set an alarm to help them remember to start their before bed rituals so they will get to bed early enough. Others want to get their health restoring sleep but are suffering from insomnia. For this group, there are many natural strategies that may help. Often I have patients start by taking some magnesium at bedtime. Magnesium deficiency can contribute to sleeplessness, anxiety, depression, irritability, and muscle cramps. If this isn’t enough, I might add a calming herb like passionflower or California poppy. Others might benefit from taking the amino acid tryptophan shortly before bed to help them make more melatonin, the sleep hormone. Finally, consider a bedtime snack to keep your blood sugar steady through the night and make sure you have a very dark bedroom. There are many other health benefits to getting a good night’s sleep. If you need more reasons, read my blogs on the connection between insomnia and blood sugar and the link between stress and sleep deprivation. I remember telling my first patient with Parkinson’s disease that she needed to move because she lived in a subdivision that was built on an old landfill. Not only was she suffering, but she also reported that an unusual number of her neighbors had cancer or other very serious diseases that may be linked to toxins. It is thought that in Parkinson’s disease the destruction of brain cells occurs partially due to oxidative damage, which is increased by toxic chemicals. The subsequent reduced ability to produce dopamine in the brain leads to the motor deficits of Parkinson’s including resting tremors, rigidity, slow movements, and shuffling gait. While there are natural treatments that can slow and/or improve the symptoms of Parkinson’s disease, we are much better off focusing on prevention. New studies are pointing to some easy steps to help reduce the chance of getting this neurodegenerative illness. The link between exposure to pesticides and the development of Parkinson’s disease was confirmed by a 2013 meta-analysis looking at over 100 studies. It showed that the risk of Parkinson’s was increased by contact with pesticides, herbicides, and solvents. Farming in general and living in rural areas were also considered to be risks. As a small scale organic farmer as well as a naturopathic doctor, these issues particularly strike home. I recommend an emphasis on organic foods in the diet to avoid traces of pesticide residue on the food and to cut down on the number of farm workers who have to handle pesticides and herbicides. Another common thread in Parkinson’s disease is elevated iron in the brain. Iron can contribute to oxidative damage by catalyzing the conversion of hydrogen peroxide to dangerous hydroxyl free radicals. Pesticides and other neurotoxic substances have been shown to cause increased production of hydrogen peroxide. The resulting reactive oxygen species can damage the genes, cell membranes, and mitochondria thereby reducing the ability of brain cells to function. These findings tie together much of what we know concerning the development of Parkinson’s disease: oxidative damage, iron overload in the brain, and pesticide exposure. It also points to useful preventative strategies. Cultures that consume vegan or quasi vegan diets have lower rates of Parkinson’s disease. While this could be due to lower intake of saturated fats or higher antioxidant consumption, I suggest that this link is partially because of lower iron intake. 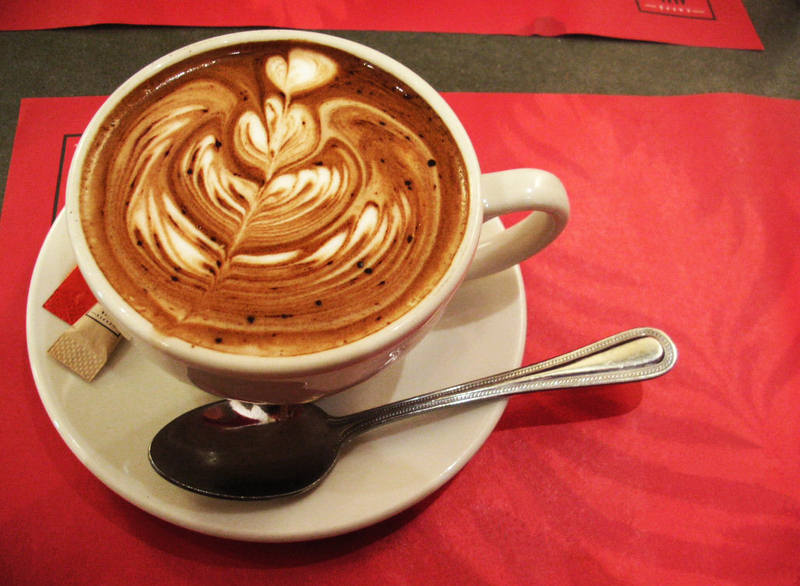 Part of the neuroprotective effect of coffee could be related to its ability to bind iron. This would also explain why the consumption of black tea, which reduces iron absorption, is inversely associated with Parkinson’s disease risk. Finally, just as antioxidants are an indispensable part of the treatment of Parkinson’s disease, they can also be vital for its prevention since many of the implicated pesticides and other toxic compounds are oxidative stressors. Studies have shown that patients with Parkinson’s disease have reduced antioxidant capacity, demonstrated by lower glutathione levels. Glutathione is an important antioxidant that helps neutralize toxins and heavy metals. N-acetyl cysteine and alpha lipoic acid are excellent supplement choices to help build up glutathione levels. Turmeric is known for its neuroprotective effects, and its active constituent curcumin was shown to help restore glutathione levels in a study using mice. At the same time, I encourage appropriate intake of iron to minimize buildup over time with its subsequent contribution to oxidative stress. Even though these interventions were particularly studied for Parkinson’s disease, these basic concepts hold true for prevention of other neurological issues. Toxin burdens and decreased antioxidant status are important considerations for prevention of other neurological conditions, including some dementias like Alzheimer’s disease. Though genetics can play a role in susceptibility to particular conditions, we can choose dietary and lifestyle choices that reduce the likelihood of these manifestations. In addition, we can also work to create a healthier planet so that there are fewer toxic chemicals in all of our lives. 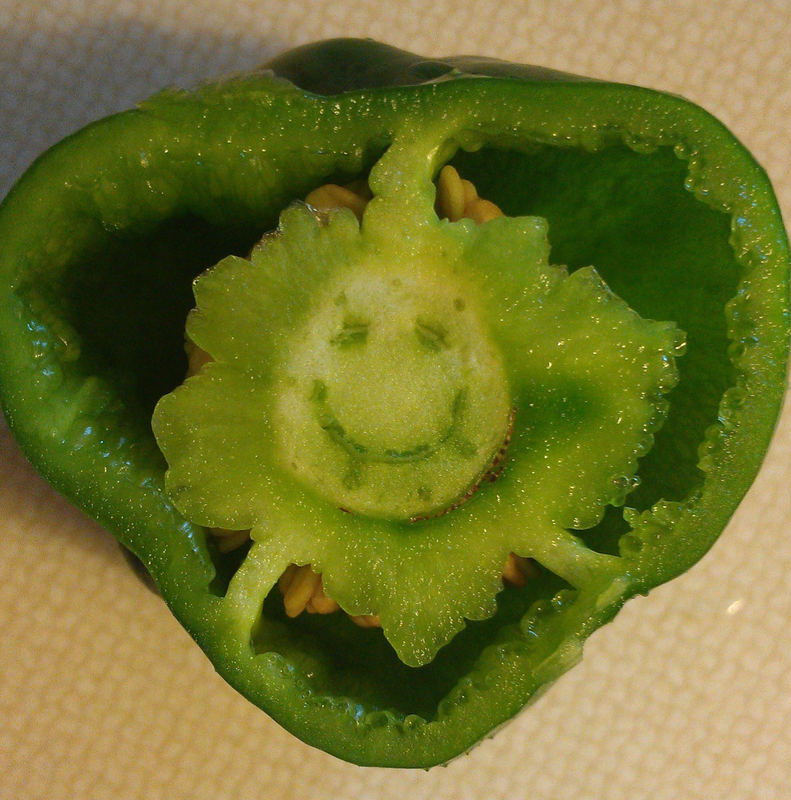 And check out my blog from last year on how happy bell peppers like this one can help prevent Parkinson’s disease. I am not going to lie to you. Being healthy takes time. It takes time to cook healthy food for yourself. I always make sure I have at least 30 minutes in the morning to make a nutrition breakfast. It takes time to exercise, but every hour you exercise is essentially an hour you are adding to your life. Adequate sleep is vital because between the seventh and eighth hour of sleep, we get almost an hour of REM sleep, the time when the mind repairs itself. So if you don’t allow yourself a full night’s rest, you are missing this important opportunity to repair and prepare for the next day. But I didn’t follow my own advice recently. I was working extra long hours and started to feel run down. I took some of my favorite immune supporting herbs like elderberry, Echinacea, and garlic and spent part of a day resting, but the very next day I was busy from 7 am to 11 pm. I had just harvested the last of the garden produce and was determined to get it in the freezer right away so I worked the extra hours. But the cold that I had nearly nipped in the bud became a terrible case of bronchitis. I had to take days off and cancel appointments with patients so I wouldn’t get them sick. In retrospect, I needed to change my priorities. Those veggies could have waited a few more days before I took care of them. I know that for most people the demands on their time aren’t related to getting this year’s harvest stored, it most likely is the demands of work and family life. For many Americans, time is even becoming a more precious commodity than money, in that they don’t have enough of it for themselves. But we can always consider making different decisions to put ourselves first. When it comes to health, it is okay to be selfish. Our health is a very valuable commodity. In my case, a few hours early on could have saved me days of misery later. And this same equation can hold true when we take little steps to be healthier now. Every extra minute we give ourselves to sleeping enough or eating well may help extend our years of healthy life long term. Give yourself the gift of time to be healthy. You deserve it. Fish oil has numerous well-documented benefits for our health. 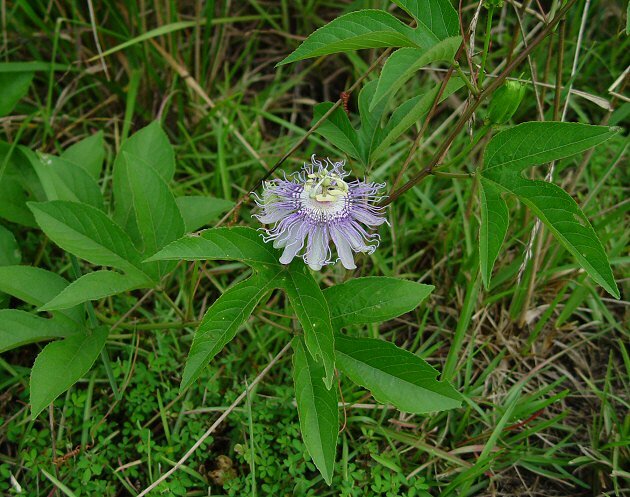 It is probably best known for its cardiovascular advantages of decreasing cholesterol and clotting. Here I am going to focus on its mood supporting qualities, because there have been a number of exciting recent studies. In one study following patients with major depression, the likelihood of also having anxiety was much higher in those with the lowest blood levels of EPA and DHA, the major omega-3 components of fish oil. A second study found that in women a higher intake of omega-3 fatty acids reduced the incidence of elevated depressive symptoms by 49%. 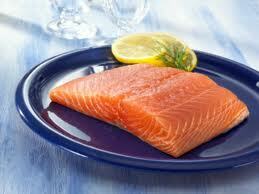 This study also pointed out the ratio of omega-3 fatty acids to omega-6 fatty acids was important. This means you can support your mood by both taking fish oil and reducing intake of omega-6 fats like those found in meat and most oils including corn, soy, and vegetable oils. Fish oil may even be able to reduce suicidal tendencies. It has long been noted in epidemiological studies that low omega-3 levels are correlated with increased rates of suicide. Researchers have also found higher levels of a marker called SAT1 in people with strong suicidal ideation. This marker and related ones were also associated with stress, mood disorders, anxiety, and hallucinations. In mice that were genetically altered to have abnormal expression of these biomarkers, treatment with omega-3 fatty acids brought their levels of the troublesome markers back to normal. All of this very promising research reinforces the use of fish oil as part of the plan to support mental health for even very serious mood disorders.